What are tasks and how are they best used? – Welcome to the NextMinute support and feedback centre. In short, a task simply allows a date and time allocation for a piece of work, tasks can be recurring and can be associated to a job. Also see How to use Jobs & Tasks. In the example below we have gone to Jobs > All Jobs and selected the JOB-1002. 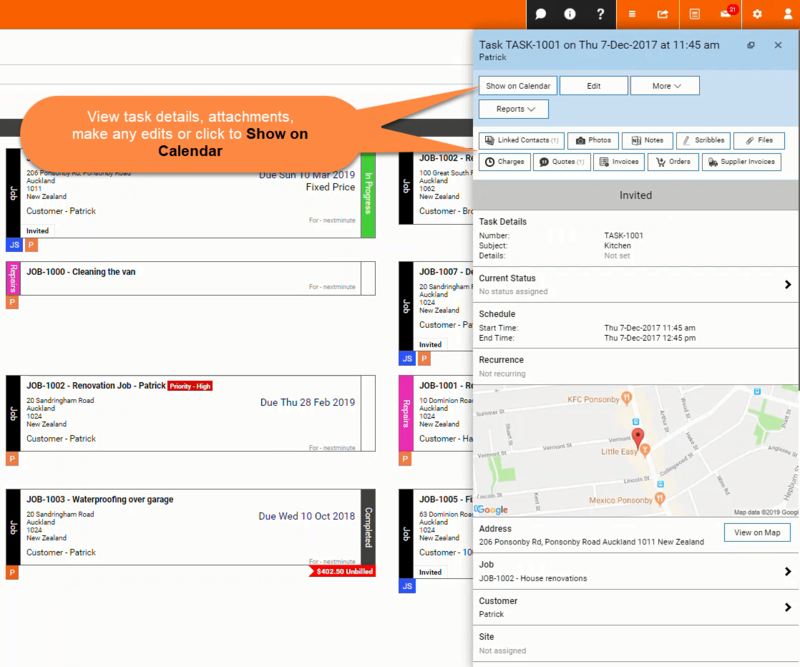 In the Job's flyout we can view all details, attachments and make any edits. We can also see that this Job has 5 Scheduled Tasks linked, click to view the list of tasks. The flyout now shows a list of all the Scheduled tasks linked to the Job. These tasks are shown in Detailed View which you can change by unselecting Detailed View. Select one to view it's details. 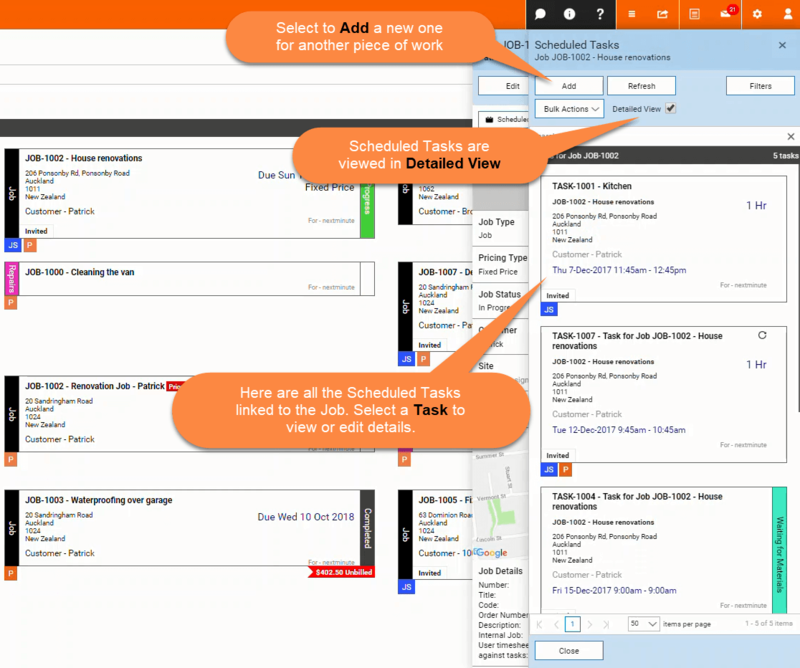 See all the Tasks details, make any edits if necessary or select to Show on Calendar. When you select Show on Calendar you will be taken to the Calendar and the task will highlight, the flyout will stay open and show all the Scheduled tasks for your Job.